Wicked has shown the heart, brains, and courage to reign as the highest-grossing show on Broadway for about a decade. The Wizard of Oz-related stage phenomenon continues to set records around the world. From its 1.1 million Facebook followers to its nearly 100 global awards, including three Tonys and a Grammy. Ironically, one of the beneficiaries of Wicked’s success is Universal Pictures. They decided not to pursue a related movie project, but did invest in the stage version. It’s the single most lucrative project the movie studio has been involved with. Considering they’ve produced E.T., Jaws, and Jurassic Park… that’s quite an accomplishment. The stage show has also become an international success, too. In Finland or Japan, by comparison, audiences don’t know the first thing about Dorothy and Cowardly Lion, let alone the witches, Elphaba and Glinda. Nevertheless, Wicked has been an equally incredible success in these and many other countries. Based on Gregory Maguire’s novel, Wicked: The Life and Times of the Wicked Witch of the West, there was a question whether this would succeed in New York. After ten record breaking years and nearly 7.5 million tickets sold at the Gershwin Theatre alone, it’s safe to say the question has been answered. The merry old land of Oz continues to reign supreme, which is good news for folks of all ages. A stage adaptation based on An American in Paris with music by George and Ira Gershwin is headed for Broadway in 2015 after a stop in — where else? — Paris next December. 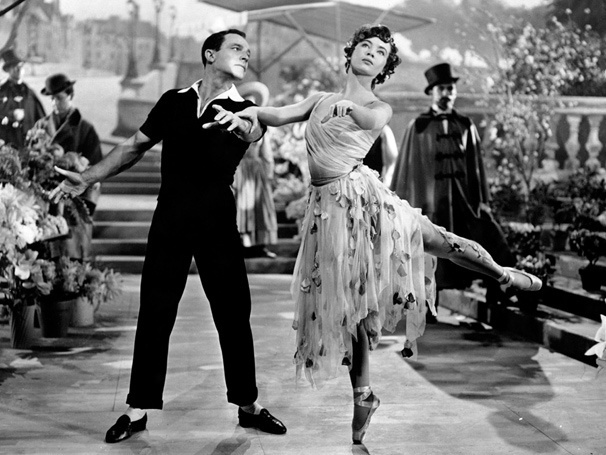 The 1951 movie won an Oscar for Best Picture, and starred Gene Kelly, Leslie Caron, and Oscar Levant. It was inspired by a 1928 orchestral composition by the Gershwins. The score includes the tunes I Got Rhythm, Our Love Is Here To Stay, But Not For Me, S’Wonderful, Stairway to Paradise, and They Can’t Take That Away. It will follow on the heels of other recent Gershwin stage hits, Nice Work If You Can Get It and Porgy and Bess. This entry was posted on Saturday, October 19th, 2013 at 12:02 am	and is filed under Blog by Manny Pacheco. You can follow any comments to this post through the RSS 2.0 feed. Responses are currently closed, but you can trackback from your own site.